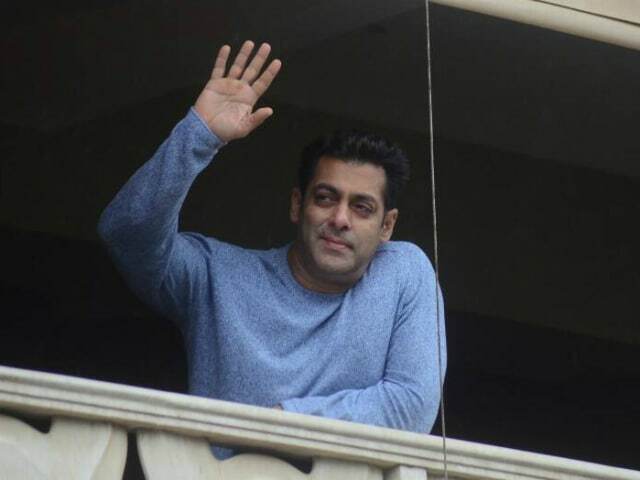 Salman Khan stepped out on the balcony of his residence in Galaxy Apartments to wish 'Eid Mubarak' to his fans on Monday evening. In a routine Eid ritual, the 51-year-old actor waved to his fans who had gathered outside his building. Salman was greeted with loud cheers and wishes from the crowd, who were thrilled to get a glimpse of Bollywood's favourite bhaijaan. 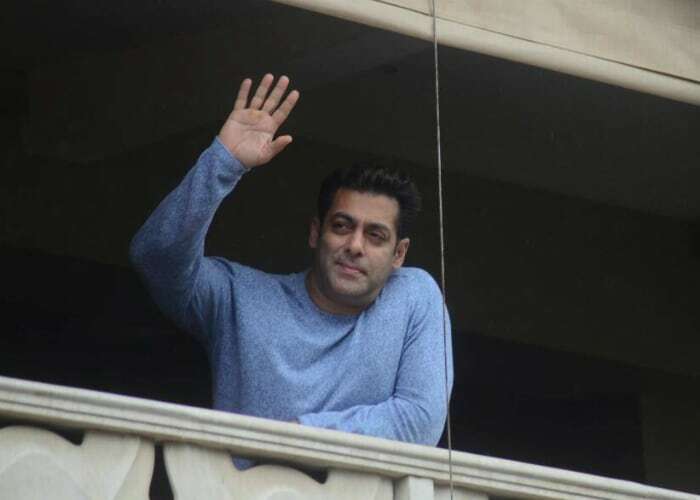 Dressed in casuals, Salman's arrival on the balcony sent the sea of fans in a tizzy, who almost immediately began sharing pictures on social media. "Chand has arrived in balcony of Galaxy Apartments," read one tweet while: "The mightiest super megastar India has ever seen, scenes from Galaxy Apartments," read another one. Just like every year, Salman Khan delighted fans with an Eid offering this year as well. Kabir Khan-directed Tubelight opened to theatres on the Friday preceding Eid. While Tubelight continues to churn out box office crores, it marked the lowest opening day collection for a Salman Khan film since 2012. However, according to a report in Box Office India, Tubelight has recorded 2017's second biggest opening after the magnum opus Baahubali 2. Tubelight's box office score is Rs 65 crore and counting, reports trade analyst Taran Adarsh. Tubelight has received mixed reviews, of which Salman told news agency IANS: "The critics were really good. I was expecting minus 3 and minus 4 but they gave 1, 1.5 apparently, so I am very pleased. As per reports people are saying they cannot see 'Bhai' (Salman) crying. So I asked, are they (audience) laughing and the answer was "no, they are crying". So I said don't worry about it." Salman Khan's Tubelight features a cameo by Shah Rukh Khan, who also greeted fans and the media from the balcony of Mannat on Monday evening. Salman Khan will next be see in Tiger Zinda Hai, which is a sequel to his 2012 movie Ek Tha Tiger.